28.01.2015. Sheffield, England. Capital One Cup Semi Final 2nd Leg. Sheffield United versus Tottenham Hotspur. 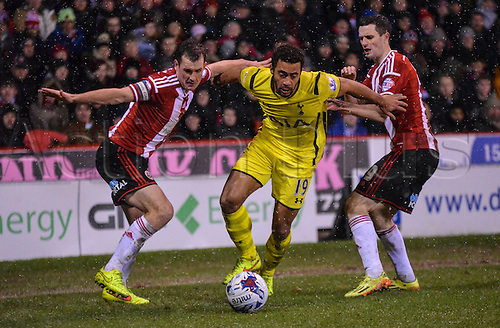 Mousa Dembele (19) of Tottenham Hotspur breaks between Michael Doyle (8) and Jamie Murphy (9) of Sheffield United.